What is Metacam for Dogs? ​Metacam (meloxicam) is a non-steroidal anti-inflammatory (NSAID) medication used to treat pain and inflammation in dogs. It also has other benefits, including fever reduction. Metacam for Dogs requires a prescription from your veterinarian. It is most often prescribed by veterinarians for dogs as a treatment for osteoarthritis. Metacam is a prescription medication that is FDA approved for use in dogs. How does Metacam (meloxicam) work? Metacam works by reducing hormones that cause pain and inflammation in your pet's body. Metacam is used to reduce pain, inflammation and stiffness as a result of acute and chronic musculoskeletal disorders such as osteoarthritis. Metacam may also be used for purposes other than those listed in this guide. When your dog starts METACAM treatment, you will likely notice an increase in your dog's activity level. Once the spark is back, your dog may be more energetic and want to do more physically, just like he used to do. It's important to remember that exercise should be increased slowly in order to rebuild lost muscle mass. Frequent, gentle walks help improve mobility and strength. Talk to your veterinarian about how much activity is best for your dog. METACAM Oral Suspension is for use in dogs only. As a class, cyclo-oxygenase inhibitory NSAIDs may be associated with gastrointestinal, kidney, or liver side effects. The most common side effects reported in field studies were vomiting and soft stool/diarrhea. These are usually mild, but may be serious. If side effects occur, pet owners should halt therapy and contact their veterinarian. Pets should be evaluated for pre-existing conditions and currently prescribed medications prior to treatment with METACAM, then monitored regularly while on treatment. Concurrent use with another NSAID, corticosteroid, or nephrotoxic medication should be avoided. Tell your veterinarian if your pet has an allergy to aspirin or any other NSAID; an ulcer or bleeding in the stomach; has liver, or kidney disease; congestive heart failure; fluid retention; bleeding disorders; heart disease or high blood pressure. Tell your veterinarian if your pet is pregnant or lactating. METACAM, like other drugs, may cause some side effects. 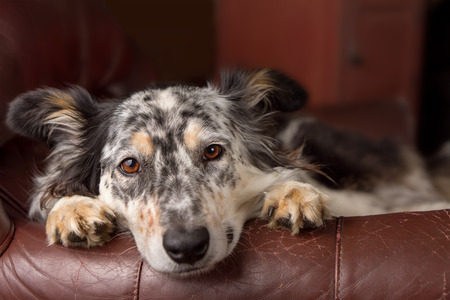 Serious but rare side effects have been reported in dogs taking NSAIDs. Serious side effects can occur with or without warning and in rare situations result in death. Change in behavior (such as decreased or increased activity level, incoordination, seizure or aggression). Change in drinking habits (frequency, amount consumed). ​It is important to stop therapy and contact your veterinarian immediately if you think your dog has a medical problem or side effect from METACAM therapy. If you have additional questions about possible side effects, talk to your veterinarian.